How do you enjoy your tomatoes? If I am not eating them in something, I like just a sprinkle of sugar. I’ve found there are two types of people. Those who prefer salt and those who prefer sugar. 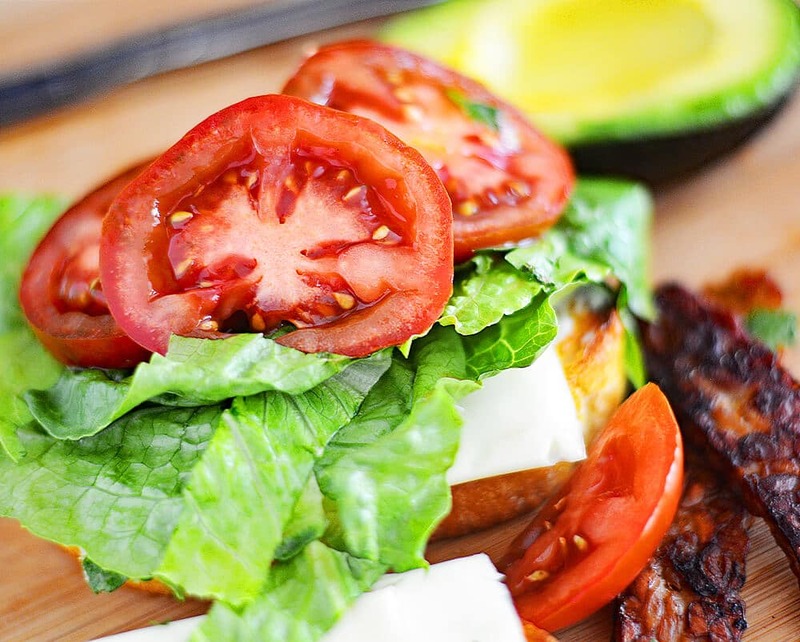 I have been missing the taste of home in those thick, juicy, slicing tomatoes…you know the ones I’m talking about. So sweet you could (and would) eat them on their own. Greenhouse grown and vine-ripened, these NatureSweet Eclipses in that deep and dark shade are the first tomato I have truly enjoyed since moving to Arizona nearly 20 years ago! This, by the way, is my third purchase of them in two weeks. I’m kind of obsessed. Below is an example of the packaging so you can easily locate them in your own grocery store. My store had it’s own nifty little display next to the other varieties. Right away, the color is just stunning. While I knew they were supposed to be a slicing tomato, I was not at all expecting that texture. NatureSweet Eclipses did not disappoint! So here are my ingredients but feel free to add what you enjoy. 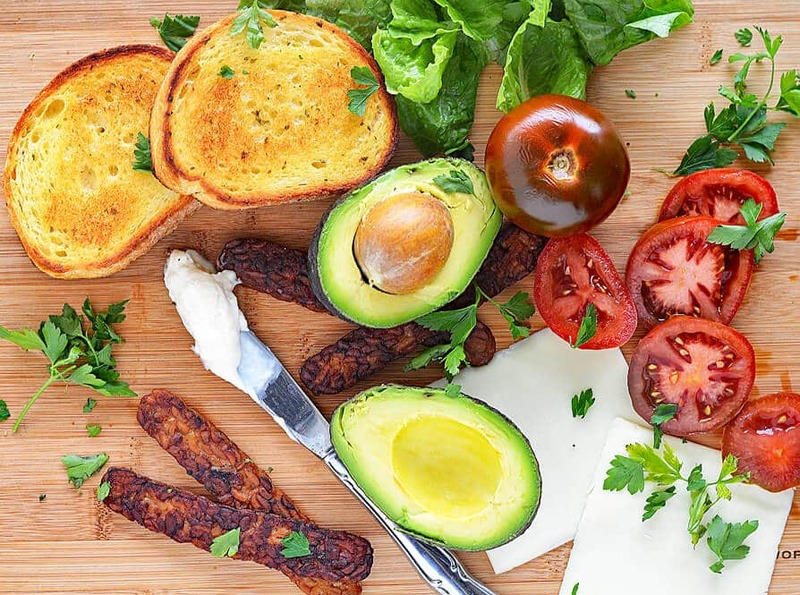 Texas toast with and herbed vegan garlic butter, butter lettuce or romaine leaves, avocado slices, vegan cheese slices, vegan mayo, tempeh bacon (my first time trying it) and of course, the NatureSweet Eclipses. This picture doesn’t even depict how deep and rich that color is. There aren’t a ton of seeds and it’s the perfect texture for a slicing tomato. 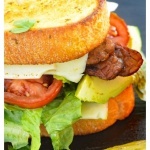 I could not wait to dig into this sandwich! Check out that tomato in the background below. Just gorgeous! 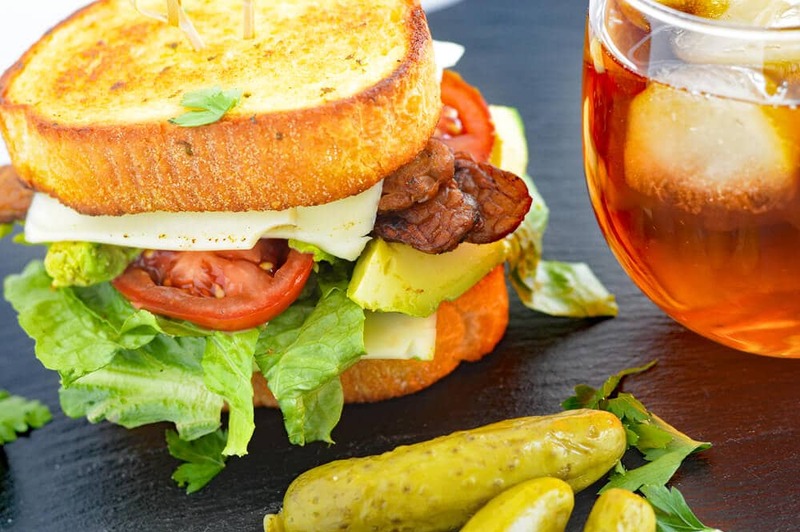 I served my Vegan BLTA Texas Toast Grilled Cheese with sweetened iced tea and baby dill pickles. To melt the cheese, I just placed the slices on the toast and back into the toaster oven they went for a few minutes. Then it’s time to build that sandwich. It was so good…there aren’t even words! 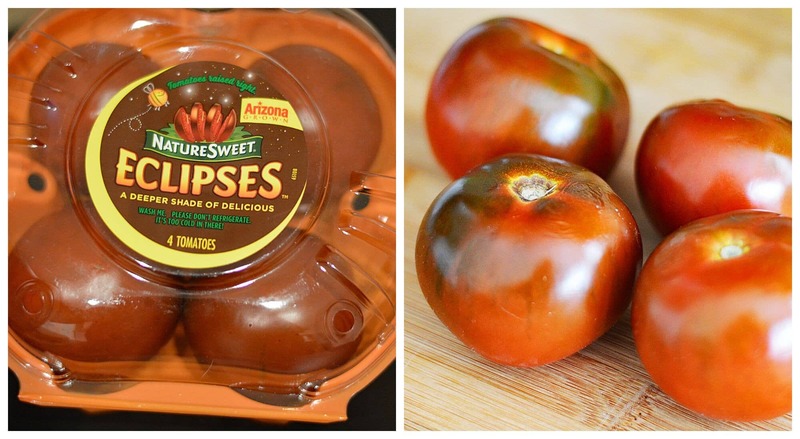 To learn more about NatureSweet’s newest tomato, NatureSweet Eclipses, be sure to visit their website, or give them a follow on social media: Instagram / Facebook / Twitter / Pinterest. 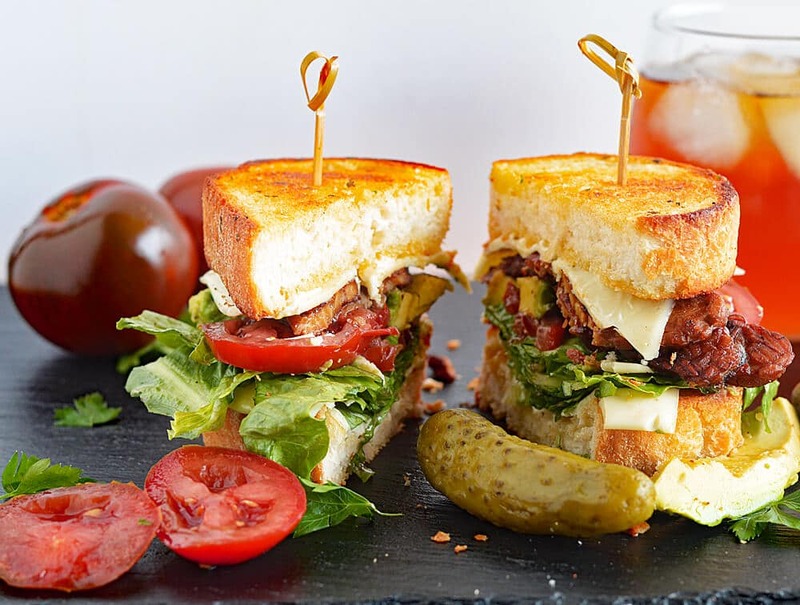 Have you tried Vegan BLTA Texas Toast Grilled Cheese with NatureSweet Eclipses! yet? Let me know what you think in the comment section below! Take the thick sliced bread and butter it with vegan margarine. I also like to add finely chopped parsley. Toast until golden. Once toasted, rub with a whole garlic clove. Vegan cheese is a bit tougher to melt, so what I do is place it on the just toasted bread and place it back in the toaster oven (or oven) to melt it. Proceed with assembly and secure with a skewer. Serve warm. This looks so good I could cry!! Now I need to find really good tomatoes in January! Do you cut the garlic clove in half before rubbing on the toast? I don’t, but you could 🙂 Not sure where you live, but Whole Foods, Sprouts & Trader Joe’s usually import really great tasting tomatoes all year round. Shop the organic section!